The majority of our Direct to One clients are nonprofits looking to increase donor support and retention. Time and again, direct marketing research has proven that the higher the average gift, the better the long-term retention of donors. A recent Direct to One appeal saw a 281% increase in the average gift, year over year, with the Direct to One program. 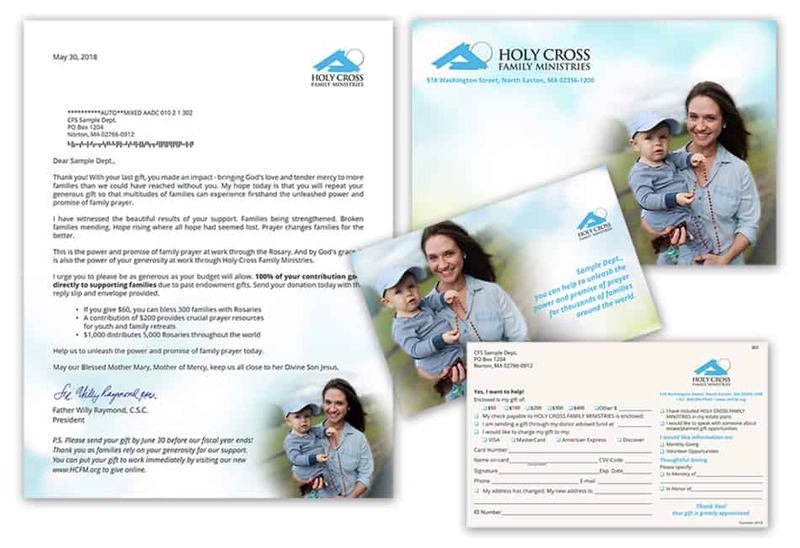 This program offers highly personalized, full-color printed direct mail campaigns that target donors and prospects with pinpoint precision. The Direct to One team knows direct marketing and understands that the real value is in the “connection” born from a conversation between “friends” rather than broadcasting a broad pitch directed at “strangers”. No one wants to lose their individual identity in any form of communication. Because each of us has different likes and dislikes, as well as issues we feel personally drawn to, Direct to One works to empower our clients to speak with their customers differently – knowing full well that each individual has a variety of needs and interests. 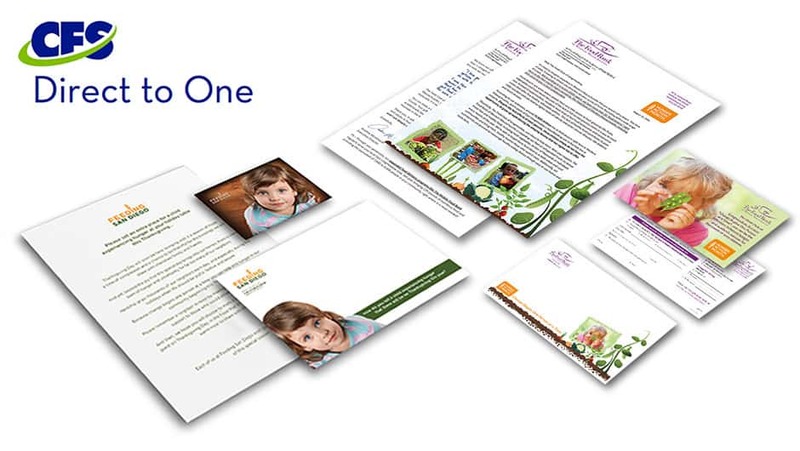 Rather than just design and produce full-color, eye-catching direct mail appeals, we focus your attention on increasing donor revenues through cutting-edge data analysis, population segmentation…all driven through a compelling case for support. Unquestionably, the first step to any successful direct mail campaign is a strong commitment to planning and creativity. Intelligent mail barcodes allow nonprofits seeking a timely connection to their donors, to know when a letter, card or package arrives at their home…and then empowers them to turn that knowledge into meaningful increases in support through triggered email messaging. Innovation, total project management, precise data oversight and creative product strategies from concept to post-delivery, yield each Direct to One client results that exponentially exceed their expectations for return on investment. With the Direct to One process, we are committed to earning our clients more money by engaging their relationships in productive, appealing, personalized, and dialogue-driven ways. We believe that with knowledge comes empowerment; the more you know about your donors and prospects, the more they are willing to share their preferences and opinions with you. When they do, the more you show them that they have been heard, the more successful the effort you ultimately generate. If you would like more information on Direct to One, fill out the contact form.